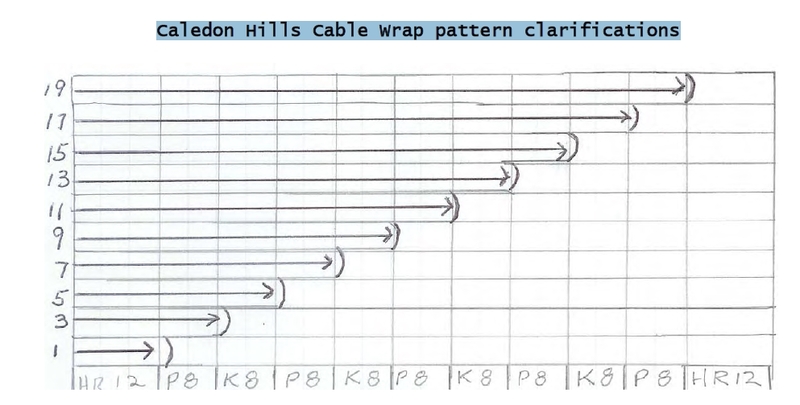 Now – to start the short rows on the cable wrap: Look at the graphic, you will work row 1 from the beginning of the wrong side. On the WRONG Size, work the 12 sts for the horizontal cable staying in pattern. (Wrap and turn -WT)Make sure the yarn is on the wrong side of the piece Slip the next stitch purlwise to the right needle, take the yarn around that stitch between the needles and to the right side of the work. Slip the stitch back to the left needle. Turn the work to the right side. That whole step is called wrap and turn. Row 2. Not numbered in the graphic, work the 12 horizontal rib sts. 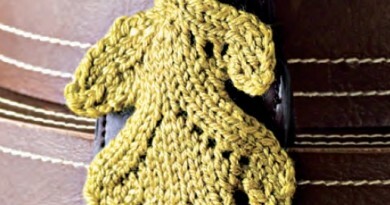 If you are working knits for that row on the rib, you need to take the yarn to the back of the work. Turn. Work the 12 rib, 8 reverse stockinet sts, and the 8 stitches of the flat cable. The first stitch of the flat cable is wrapped. Slip the wrapped stitch to the night needle. Pick up the wrap with the left needle and purl those together. Continue across the 7 remaining stitches. 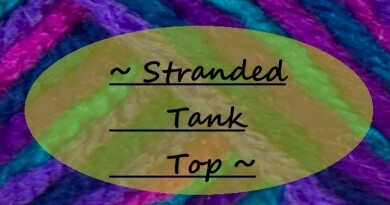 The next stitch is a knit. Take the yarn to the front , slip the next stitch to the right, take the yarn around the stitch and to the back. Slip the wrapped stitch to the left needle, turn the work. Now you have the 8 flat cable stitches facing you to be worked next. At this point you will need to know which row number you are on for the flat cable sequence. I place a stitch marker in the first stitch of the first row ofthe sequence to keep track which row I am. Be sure to keep in pattern. Work across those 8 stitches, Purl the 8 reverse stockinet stitches and work the horizontal rib stitches. Turn. Just goes to the beginning of the next flat cable stitches and is a repeat of the wrap and turn you did in row 3. 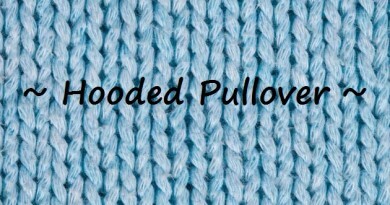 Make sure you work the 2 stitches of the wrapped stitch as you go to the next part. You will continue adding stitches on the wrong side through row 19 where you will wrap and turn the 1st stitch of the horizontal rib. In regard to the horizontal rib pattern, when you look at the row below the one you are ready to work, if there are 2 knit rows, then the next row is a purl row. The opposite is if you see 2 purl rows below then you will knit.